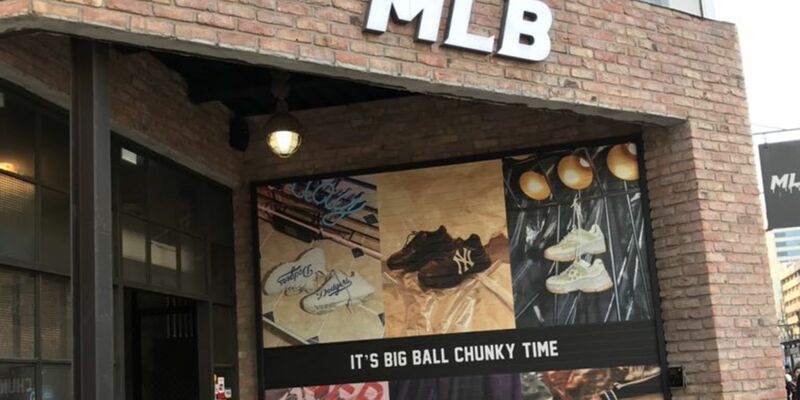 After a tweet showing a line of Korean storefront appeared over the weekend, the delightful slogan “It’s Big Ball Chunky Time” went viral. For good reason, too. It’s a fun and ridiculous sequence of words to utter. What exactly does it mean for it to be big chunky baseball time? Well, it has to do with a line of baseball-themed shoes in Korea that are like ugly Christmas sweaters for your feet. In general, we want to buy and wear things that we find beautiful or, at the worst, find to be aesthetically neutral. But, as hipsters have been trying to teach us for years, wearing and embracing the ugly has its time and place. The Big Ball Chunky shoes very much embrace that aesthetic. There was clearly no stone that went unturned in the design and production of these delightfully chunky shoes. The baseball diamond on the sole at the heel. The chunky logo on the side of the shoe. It all comes together in a perfectly chunky shoe that is just as suitable for your dad to mow the lawn in as it is to wear to your next social gathering. It is indeed Big Ball Chunky Time! So, when you hear a random passerby exclaim, “It’s Big Ball Chunky Time!” on your commute home from work, you’ll probably know what he means even better than he does himself.